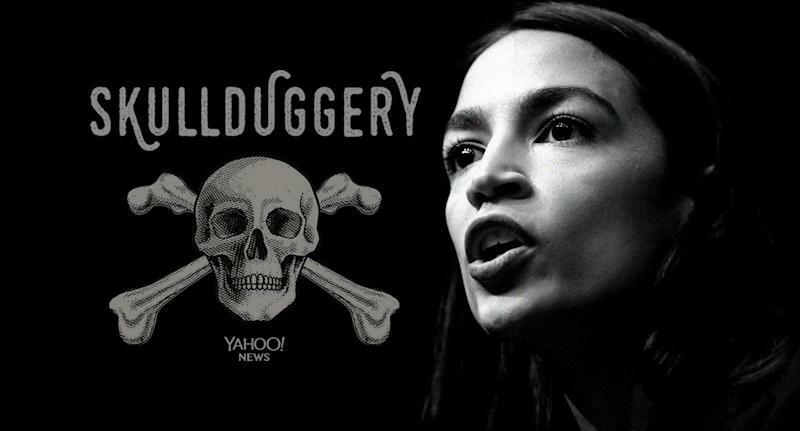 WASHINGTON — Rep. Alexandria Ocasio-Cortez said there are “so many” reasons to impeach President Trump in an interview with Yahoo News’ “Skullduggery” podcast on Sunday evening. 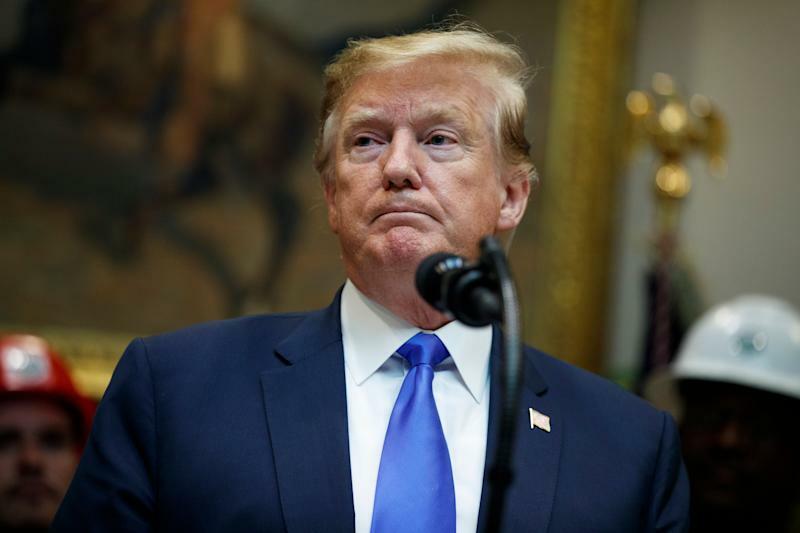 The congresswoman also indicated she is likely to sign on to a resolution introduced by Rep. Rashida Tlaib, D-Mich., last month that calls for Congress to begin an investigation into whether Trump has committed impeachable offenses. Ocasio-Cortez, who became one of the most high-profile Democrats in Washington after winning her seat in a shocking upset last year, has previously expressed support for impeachment. However, her comments in the “Skullduggery” interview were her most direct on the issue, and she had previously been noncommittal when asked about Tlaib’s resolution. Along with indicating she is likely to sign on to the impeachment resolution, in her conversation on “Skullduggery” the congresswoman outlined specific reasons she believes Trump could be impeached. She began discussing the issue when she was asked about comments Rep. Jerry Nadler, D-N.Y., made in a CNN interview on Sunday morning. Nadler, who is chairman of the House Judiciary Committee, said Trump showed “contempt” for the law when he reportedly promised the former head of Customs and Border Protection a pardon if he faced jail for denying immigrants seeking asylum entry into the United States. In a tweet on Saturday, Trump denied offering the pardon. “I think this is a very grave problem, but there’s so many aspects to this presidency that have ... posed a grave problem,” Ocasio-Cortez told Yahoo News when asked if she agreed with Nadler’s view and what she thought should be done about it. She was referring to a clause of the Constitution that prohibits members of the government from receiving emoluments, or any form of payment, from foreign countries. Many critics believe Trump has violated this rule because he maintains an interest in his real estate company, which has done business with foreign governments. For a second potential impeachable offense, Ocasio-Cortez pointed to “tax fraud.” She later explained she was referring to indications that Trump has falsely deflated the value of his various properties in order to lower his property-tax payments. She questioned the president’s former attorney, Michael Cohen, about this issue when he testified before Congress in February and he accused Trump of engaging in the practice. Last, Ocasio-Cortez suggested Trump’s reported offer of a pardon if the immigration official broke the law could be a “pretty potent” justification for impeachment if it is investigated. Specifically, she cited Trump’s efforts to build a skyscraper in Moscow. In an interview with Yahoo News on April 5, Rep. Hakeem Jeffries, D-N.Y., the fifth-highest-ranking Democrat, said he agreed with Pelosi that there needed to be “overwhelming” evidence and said it was “extremely premature” to discuss impeachment.